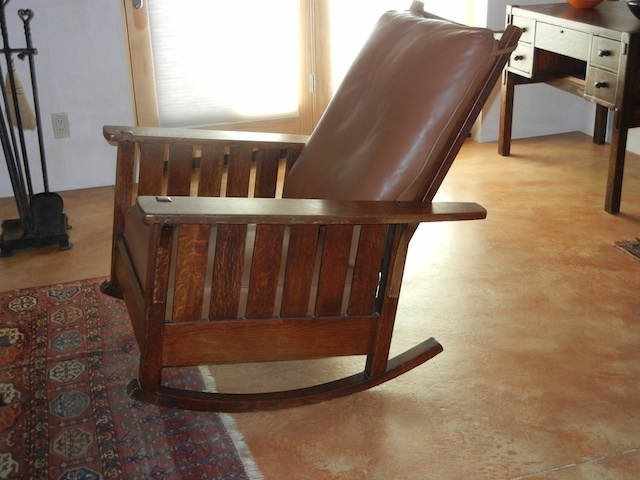 Through tenons, corbeled, pinned fixed back large very comfortable rocker to match L&JG Stickley #471 Morris Chair. 32″w x 35″d x 40″h. Over coated old finish.